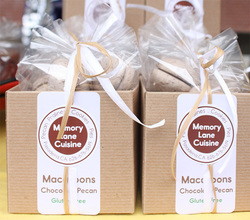 Our Desserts and Pecan Pralines make great gifts for valued customers, family and friends. Customized labeling and packaging are also available. Visit our shop online. Gift Boxes are the perfect present to give in any kind of occasions whether Christmas, weddings, birthday, anniversary, baby shower, house warming etc. Gift boxes in Pasadena, Los Angeles would be an excellent gift for your loved ones and can be ordered online easily. You do not face any hassle in arranging the most appropriate gift for your loved ones. We specialize in delivering the custom designed gift boxes for your business and personal needs. You can also access our services from many other cities and we will be happy to serve you with Gift boxes in San Francisco, New Orleans and Atlanta. Our gift baskets are designed in such a way that they suit every taste and budget perfectly. For your upcoming events like birthday or anniversary, we design colorful gift boxes by using vibrant shades. When you are planning to buy a gift which should express the love and affection on any occasion, our gift boxes would be the most suitable and wonderful gift. Now you can celebrate the baby shower or welcome the newly born baby with the Gift boxes in Dallas and make your event more special. Saying congratulation and giving the warm wishes with the gift baskets in Houston would pleasantly surprise your loved ones. You can also buy unique corporate gift baskets and use Gift boxes in Mississippi, Jackson, Montgomery and Alabama to greet a new customer, to celebrate a new sale, to show appreciation for good work etc. Nothing could be better than to convey your message with our astonishing gift boxes. Choose healthy and organic Gift baskets for your health conscious friends. These gift boxes will not only please your loved ones but you will also use a healthy way of conveying your thoughts & feelings.